K13 is an upcoming Tamil film featuring Arulnithi Tamilarasu as the protagonist while Sharaddha Srinath playing his lady love. This action thriller is directed by Barath Neelakantan while Aravinnd Singh handles the cinematography and Enai Nokki Paayum Thotta fame Darbuka Siva has composed the tunes. 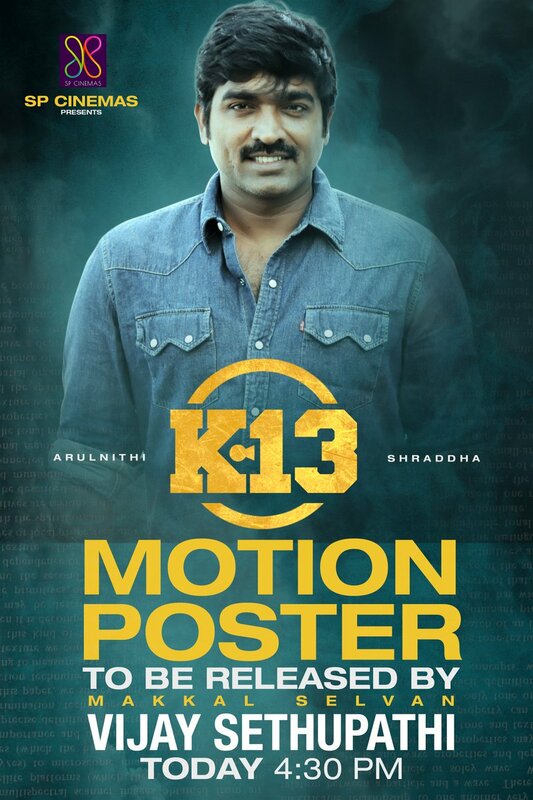 SP Cinemas is funding his venture who announced that the motion poster of K13 will be released on Twitter by ‘Makkal Selvan’ Vijay Sethupathi today, January 14th at 4.30 PM.